The EyeGrabber G Series attaches to Flex and B&J Arms and allows for secure attachment of optic accessories designed for Canon G Series & S Series Housings when they are not in use. Using the EyeDaptor G9-G10 (Cat. No. 4703) or the EyeDaptor S Series-G Series (Cat. No. 4707) with any of the lens accessories mentioned above, still allows mounting these lens accessories on the EyeGrabber. 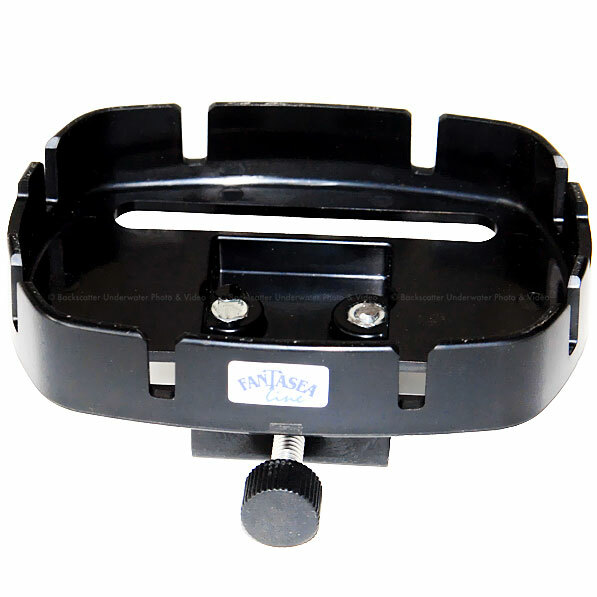 This lens holder isn't compatible with Fantasea FG16 / FG15 / FP7100 / FP7000 Housings lens accessories. For a lens holder compatible with these housings optic accessories, please see the EyeGrabber F Series. Prior to purchase, please confirm that no additional adaptor is required to fit this product to your accessory lenses. Please Click Here to visit the Fantasea Accessory Finder Page.